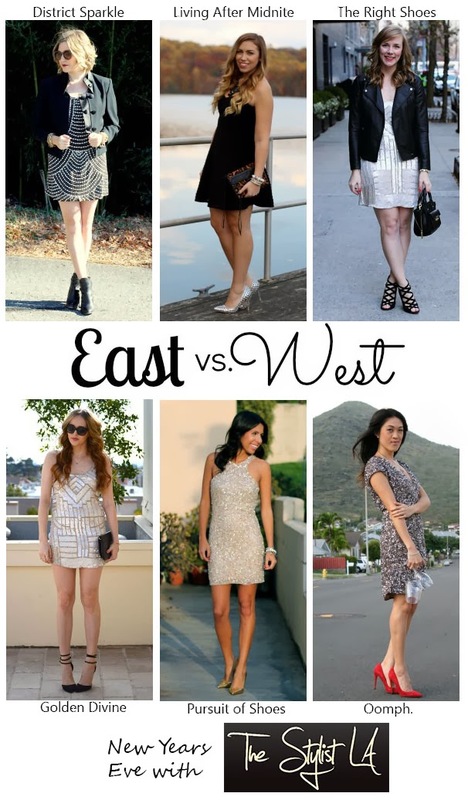 I've teamed up with the East vs. West gals and The Stylist LA to bring you our favorite looks for NYE! If you haven't heard of The Stylist LA, you must go check it out, it's a site where you can rent dresses for a fraction of the original cost- perfect for the holiday season! I love the detailing on this Parker dress, it reminds me of the Great Gatsby era and is the perfect way to ring in the new year! Be sure to check out how each of these ladies styled their NYE looks! New Years Eve isn't complete without a little sequin action! Love these looks! That dress looks stunning on you! Wow beautiful girls looking very attractive nice post great photography.